Twenty years later and the 90’s cult classic, Martin, is still inspiring today’s television shows —including our latest favorite This is Us. The NBC series has everyone in love with Randall and Beth Pearson for their positive portrayal of a modern, functional two-parent Black household. Randall and Beth have become TV couple goals, but the characters’ chemistry had a little inspiration from one of our favorite couple of the ’90s, Martin and Gina. In a recent interview with TV Guide, Susan Kelechi Watson (Beth) shared how Martin and Gina inspired the way she and her TV husband Sterling K. Brown (Randall) tackle their own on-screen dynamic. 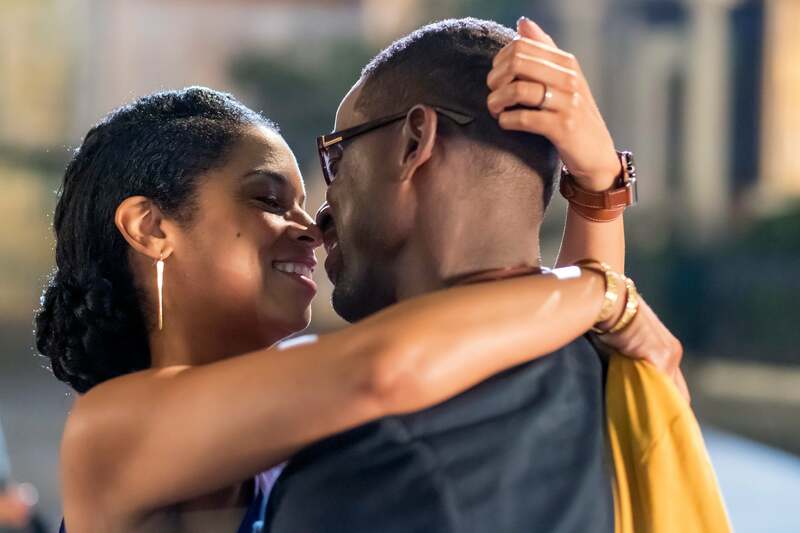 Before Susan began filming This is Us, she found herself randomly binge-watching Martin and became inspired by Martin and Gina’s connection. “I showed up on set and I said to Sterling, ‘Man, I think I’m watching [Martin] because I feel like if we can do this and come across as close to [how] they feel as a couple, close to the vibe that they gave us when we grow up, that connectivity, that ride-or-die type of love,” she said. “No matter what they did they were going to be together. You believe these two are in life together. If we can do something similar to that, I’m happy,'” she shared with TV Guide. The actors are definitely living up to their pact to keep Martin and Gina alive. Season 2 of This is Us is sure to be filled with that ride-or-die type of love that we just can’t get enough of.